Naturopathy doctor Mathena Satyanaraya Raju asked to avoid salt, and following is his comparison of salt with others. If you take chillies, it may burn your mouth, and heat in your body may increase. Other than that, it does not have any effect on the body. If you take lot of sugar, then phlegm may be formed, but, it does not have effect on all the cells. If you take lot of masala, at max intestine and nerves would be irritated. Other than, it does not change the ratio of Sodium and Potassium at all the cells. If you take oil or ghee, it may accumulate in the blood veins or in liver. But, it does not cause effect on all the cells. Even if you take more, it may form fat. But, it does not accumulate at all the cells. If you take lot of tamarind, at max your intestine would be damaged. But, it does not damage all the cells in the body. If you smoke a lot, only your lungs would be damaged or cholesterol would be formed in blood veins. But, it does not effect the trillions of cells in our human body. If you drink alcohol, then your liver would be damaged. Other than that, it does not have any impact on your body. But, if you take salt, then it effects all the cells in your body, and it will create many problems. By the way, those who want to reduce salt, they must take more vegetables, fruits and water. Otherwise, it will create problems. It is generally believed that cars and trucks and airplanes contribute an ungodly share of greenhouse gases. This has recently led many right-minded people to buy a Prius or other hybrid car. But every time a Prius owner drives to the grocery store, she may be canceling out its emission-reducing benefit, at least if she shops in the meat section. How so? Because cows - as well as sheep and other cud-chewing animals called ruminants - are wicked polluters. Their exhalation and flatulence and belching and manure emit methane, which by one common measure is about twenty-five times more potent as a greenhouse gas than the carbon dioxide released by cars. The world's ruminants are responsible for about 50 percent more greenhouse gas than the entire transportation sector. In early 1990s, the crime rate in USA was very high. Then President Bill Clinton said, "We know we've got about six years to turn this juvenile crime thing around, or our country is going to be living with chaos. And my successors will not be giving speeches about the wonderful opportunities of the global economy; they'll be trying to keep body and soul together for people on the streets of these cities". And then, instead of going up and up and up, crime began to fall. And fall and fall and fall some more. The crime drop was startling in several respects. It was ubiquitous, with every category of crime falling in every part of the country. It was persistent, with incremental decreases year after year. And it was entirely unanticipated - especially by the very experts who had been predicting the opposite. The magnitude of the reversal was astounding. The teenage murder rate, instead of rising 100 percent or even 15 percent, fell more than 50 percent within five years. By 2000, the overall murder rate in the United States had dropped to its lowest level in thirty-five years. So had the rate of just about every other sort of crime, from assault to car theft. The reason for the drop of the crime rate was a change in an act more than 20 years back. That was legalizing abortion. As far as crime is concerned, it turns out that not all children are born equal. Not even close. Decades of studies have shown that a child born into an adverse family environment is far more likely than other children to become a criminal. Poor, unmarried and teenage mothers for whom illegal abortions had been too expensive or too hard to get - were often models of adversity. They were the very women whose children, if born, would have been much more likely than average to become criminals. But because of legalizing abortion, these children weren't being born. This powerful cause would have a drastic, distant effect: years later, just as these unborn children would have entered their criminal primes, the rate of crime began to plummet. The above is taken from Freakonomics by Steven D.Levitt and Stephen J.Dubner. If we want to live happily, we should stop worrying about the morality of other people. If we put restrictions on morality of others for whatever reasons, we should be ready to face the negative consequences. I hope Indian government will soon repeal the acts which worries about the morality of the people, and reduce the crime rate. If you own a company, and if the no.of employees is reduced, do you think the company is going in the right direction? As long as each employee is providing more value to the company than the total expenditure incurred by him/her, we should always try to increase the no.of employees. If you think, the employees are wasting money, then you should be firing the employees. If all the employees are like that, and if you cannot change the employees, then you should close the company. India has too many outdated policies/acts, which are blocking the progress of the country. Since we have a long process to change any law, it would be better, if we have more ministers, so that more no.of laws can be changed/repealed sooner. If anyone think, the ministers are not doing their job, then they should be asking to sack the ministers or bring down the government, rather than asking for reducing the number of ministers. If you want to take the screenshots of Secure PDF or E-Books that can be opened only in Adobe Digital Editions, you can use the following software. It is very simple to use. Open your PDF/E-Book and change the size in such a way that, on click of Page Down, it goes to next page. Click on Select Area and select the page area which you want to capture. Select the folder and file name prefix. Click Take Screenshot button. It takes the screen shot of the selected area and goes to next page. One disadvantage with this is, if there are 100 pages in the PDF, you need to click Take Screenshot 100 times. In 1974, Jayaprakash Narayan's Lok Satta Movement, which exhorted citizens to non-violently transform the nation, caught the imagination of the people. I felt very happy after reading the above statement in "One Life is Not Enough" by K.Natwar Singh. There are few more places like this, and I felt, the editors could have spent some more effort in editing that book. In the book, he mentioned that, In 1984 elections, BJP managed only two seats, won by Atal Bihari Vajpayee and Lal Krishna Advani. 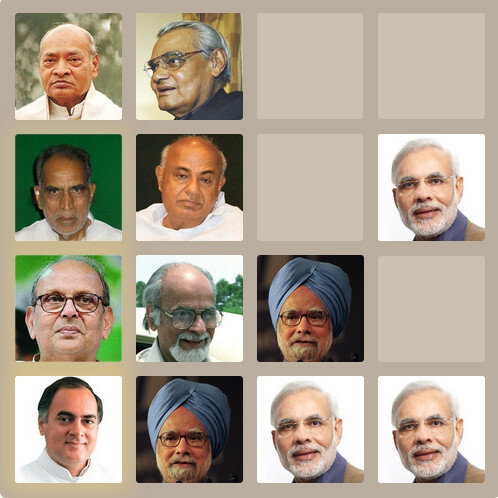 Actually, in that elections, Vajpayee lost and L.K.Advani did not contest. The winners in that election were Janga Reddy from Hanumakonda and A.K.Patel from Gujarat. Few interesting things that I did not know before. NTR was denied Rajya Sabha ticket, and he formed a new political party because of that. Many people got Padma awards for organizing Asian games. Natwar Singh got Padma Bhushan award for organizing summits for Commonwealth and NAM. There is no meaning to morality in public life. Morality is an individual affair. In public life, the only thing that matters is, what is the loss or gain by a particular action. Typically, the word morality is used by the people who are incapable of taking proper decisions and want to blame others for their inefficiency. Few centuries back, selling food was immoral. Now, that is one of the biggest businesses in the world. Two centuries back, if you tell anyone that, whether they want to earn money on the death of their loved ones, you would be seen as a heartless person. Now, if you don't have life insurance, there are many people who would run after you till you take the insurance. I was told an immoral act of Nita Ambani (Wife of Mukesh Ambani). I don't know the truth of it. She has bought a public flight and got all the tax exemptions. But, she is using it only for her private use. When asked, she says, she buys ticket, whenever she travels by that flight. So, it is a public flight only. This defeats the real purpose for the tax exemption. I heard that there is an (immoral) insurance for ticket-less travel for Mumbai local trains. You can pay some amount to the insurer, and travel in Mumbai local trains without any ticket. If any TTE checks for the ticket, then you pay the fine and submit the receipt to the insurer and get full refund. In both the cases, those who are not capable of doing any business or running the government say that, they are immoral. If one is capable, they will do things to fix this. If government imposes rule with the requirement of minimum revenue from a public flight, and if anyone generates less revenue, they have to pay appropriate tax, then this problem will not be there. In the case of ticket-less travel, if the railways department increases the no.of TTEs and if they verify as many tickets as possible, then the insurer would collapse. If people say that, TTEs joined with insurers in this corruption, it only means, railway department cannot handle the corruption in their own organization and does not know how to run business, but, is blaming the passengers. In public life, if anybody brings the concept of morality, it only means that, that person is incapable of doing anything and wants to blame others for his/her incapability.